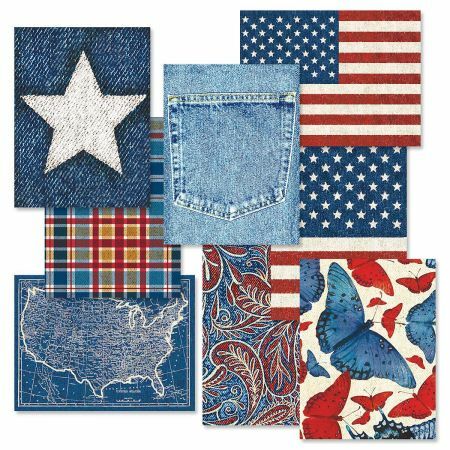 Patriotic denim-look cards are 4" x 5-1/4" in 8 designs (2 of each). 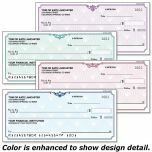 Blank inside; white envelopes included. Printed in USA.